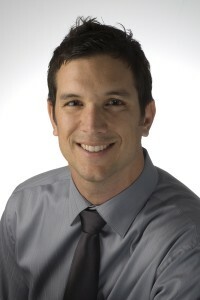 Hi, I’m Daniel Melton and thanks for visiting my acupuncture website! I am a California board certified acupuncturist and herbalist, and I’ve worked and trained in the health field for over 7 years. My path to becoming an acupuncturist began here in Morgan Hill as a senior at Live Oak High School. While studying anatomy/physiology and athletic training I became fascinated in how the human body functioned and healed. I earned a B.S. in biology at San Diego State University and went on to work as a research associate in the biotechnology field for 5 years. After completing my Masters in Traditional Chinese Medicine from the prestigious Pacific College of Oriental Medicine, I am able to combine my back ground in western biological sciences and Traditional Chinese Medicine to provide my patients with a unique, holistic approach to achieving, and maintaining, their optimal health. My areas of expertise include treating male and female reproductive health (such as menstrual dysfunction, infertility, PMS, menopausal symptoms, prostate issues, erectile dysfunction), stress disorders (anxiety, depression, insomnia, digestive problems), pain (migraines, back and neck aches), and orthopedic issues.